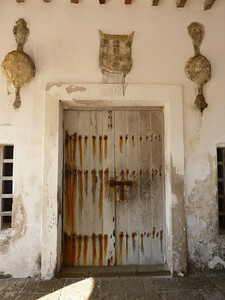 This is the door to the oldest European building in the Southern hemisphere, the Capela de Nossa Senhora do Baluarte on Ilha de Mozambique, the Portugese capital of East Africa for several hundred years. It’s a remarkable place, where history turned on a sixpence more than once – arguably a failed Dutch attempt to take the island was responsible for what we now know as South Africa. But I digress. I know some troubled, war torn bits of the world, and they don’t look as bad as parts of Ilha de Mozambique. The place is largely ruined, and the people live in the ruins. It was a glimpse of that fascinating moment in history when an empire fades. Not a step in the path of never-ending progress, but a jolt. It felt like Britain after the Romans had abandoned their villas and temples to the drizzle. It is a fascinating monument to impermanence. Empires wax and wane. Look around you – think about exactly when the building you’re in will finally disintegrate. In a thousand years, bulldozed (or 3010 equivalent) for a fast food outlet? Or in thirty years, on a battlefield between humankind and the robots? What about the country you’re in. When will that cease to be? Because as sure as eggs are eggs, it will cease to be. As you will. 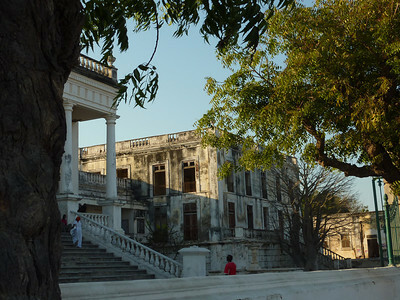 Not only was Ilha de Mozambique fabulously monkeysized, it was also beautiful and worthwhile. One night we splashed out $10 on two lobsters the size of dachshunds. The lack of lights at night becomes less of a worry once you gauge the friendliness of the people who live there. And unlike aid, of which I remain largely sceptical, and governmental projects, which almost always result in disaster, being there and spending money felt like it was a benefit to the people of that country. Go there before, like the Portugese and the Romans, you run out of time.